Contemporary floristry influences come from many forms of art and are governed by current styles, trends and fashion with a modern-day twist. 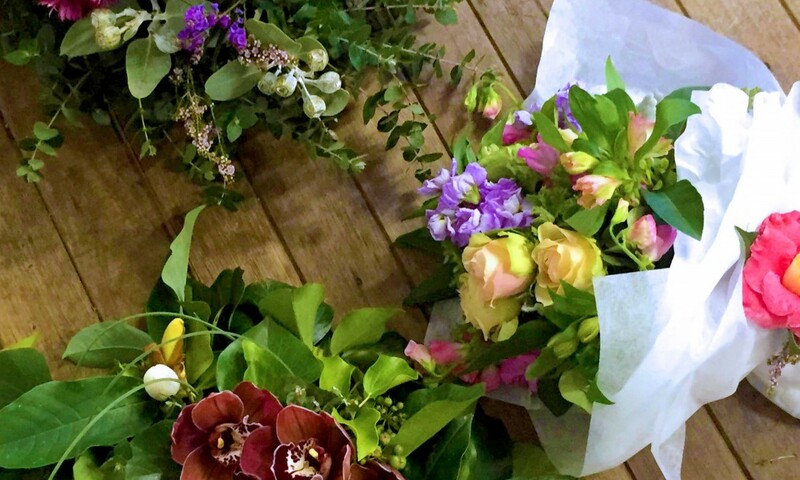 Contemporary floristry allows for a freedom of movement and creativity with individual expression, breaking away from past traditional styles of Floristry that follows strict principals of floristry design. This is a hands-on class where techniques and processes are demonstrated by the tutor and then undertaken by students. Students can expect to make three arrangements. Please bring along a towel, pen, notepad and flower snips. All other vessels and flower materials are provided.